All availability and prices are always listed on the website and are updated regularly. Price Includes: - Beds are made up upon arrival. A £200 non returnable deposit will secure any break and this will be taken off final payment. 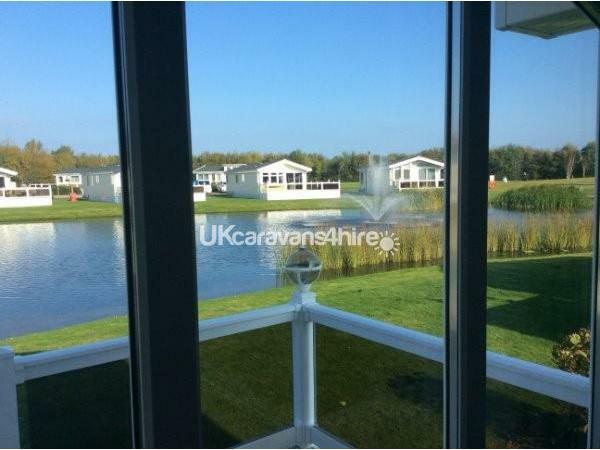 An additional £100 refundable damage deposit will be added to the final payment but is returned within 10 days of you vacating caravan as long as no damages have occurred. Final payment has to be made 6 weeks prior to the start of the holiday. 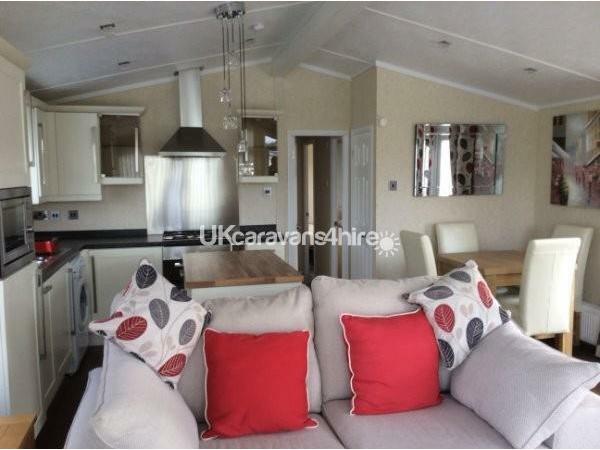 **This holiday home is indenpendely run and you will be dealing with the owner at all times**. PLEASE ONLY ENQUIRE if you are looking to book either End of July or August 7 nights only, this is now all available & prices are shown and we can only offer the dates advertise on web page & prices are clearly shown so you can save time. and run indenpendely no third parties involved**. ** We do not own pets and will not allow guests to bring them either**. **You will struggle to find another lodge at this high standard and you will not find many lodges privately maintained and cleaned by the owners/family and run indenpendely no third parties involved**. **The owners are non-smokers and we will not allow guests to smoke inside lodge either**. PRICES & AVAILABILITY are all shown when you click the Availability Tab. If dates are not shown we will not have this lodge available on any other dates, so please use the calendar dates you are interested in only as we list our availability & prices to save our guests time. All bookings DO NOT include Fun Work Passes. (Please scroll down the Advert and see fun work prices). The price of the lodge reflects the fact that it is top of the range accommodation. You will be able to park two cars on the private parking bays allocated directly outside the lodge. 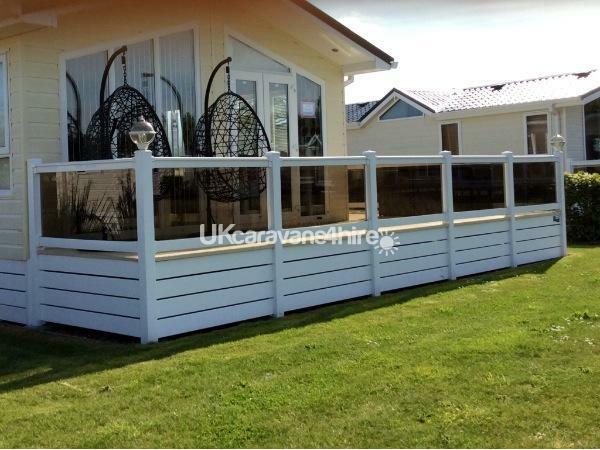 The extra wide decking allows all the family to sit around the table at the same time so you can enjoy the views. The lodge is more insulated so better then ever. This luxury holiday home is three bedrooms family owned lodge has everything you will need for a memorable holiday. The ultimate in luxury and we will provide lots of extras left for that total home from home feel. The lodge is a spacious 3 bedroom in the most desirable and quiet location of St Andrews on Hopton Golf Village it has 2 parking bays directly outside lodge. 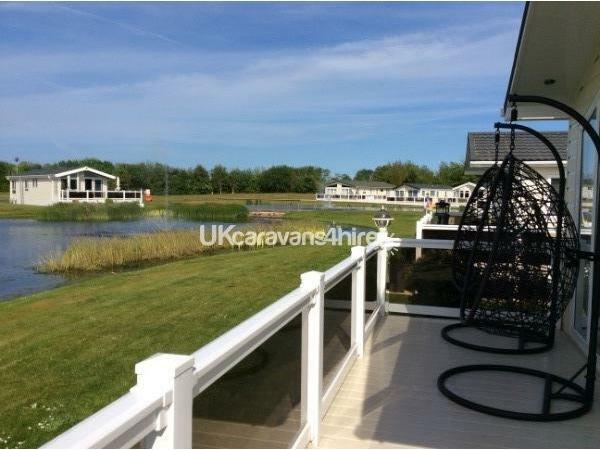 The location is a secluded lodge development area which you can sit out and relax overlooking a lake and two water fountains on the garden furniture that is provided. This lodge will make an excellent luxury break. The french doors to the front of the lodge take you onto a wide safe glass veranda with 4 rattan chairs and table which overlooks a lake, you have another two rattan chairs with a small table at the front where you can sit and relax. You are less then 10 minute walk away from main complex, beach, and a few minutes walk away from a small children's play park. The golf course is a minute away and is an excellent location for golfers. 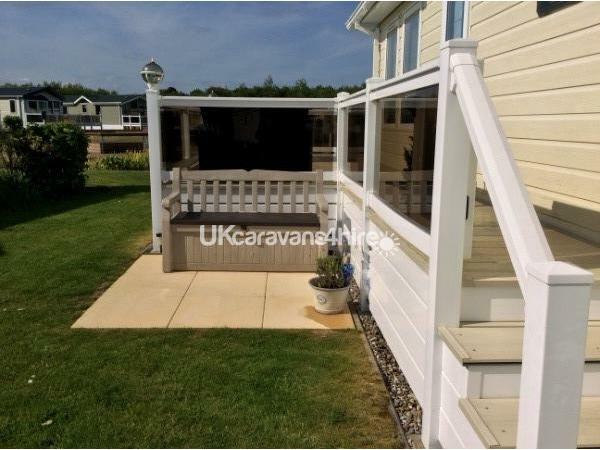 To the left hand side of the caravan is a very private and secluded area; an idea area for sitting and eating outside and having a barbecue. 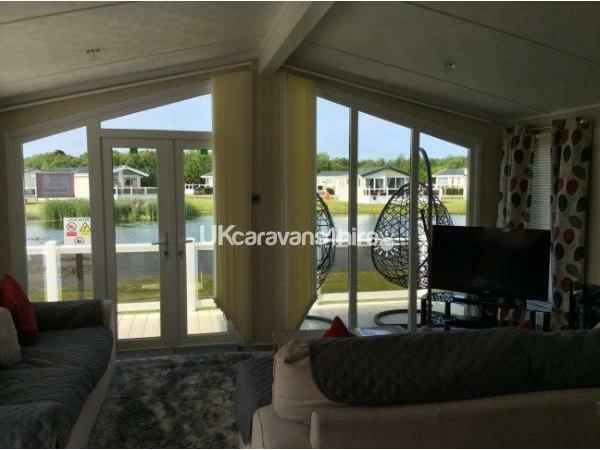 If you want to relax you can sit outside the caravan in a private secluded area with no one walking through the lodges. If you are looking for that luxurious holiday, you will find this in the central heating and double glazed lodge. This has lots of home to home features it has a wonderfully welcoming ambience as soon as you step inside and has high quality fittings and fixtures throughout. The open plan design which provides a light and airy living area as well as guarantees to provide that extra touch to really make your holiday feel special with lots of extra space. This has a large open planned kitchen with an island in the middle separating dining area. The kitchen is fully equipment with everything you find in your own home. There is a washing machine/dryer, dish washer, separate fridge and freezer. The dining dinner can be extended and has two bar stools around the island. 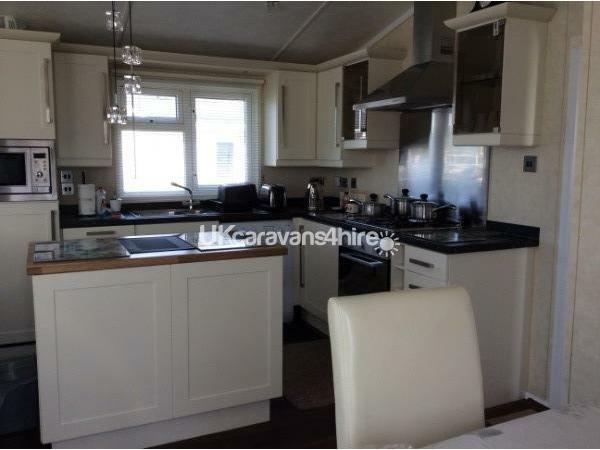 This is open planned giving you lots of space and added benefit from a caravan is gaining the extra width making it feel more like a home. The master bedroom as large wardrobes and drawers. 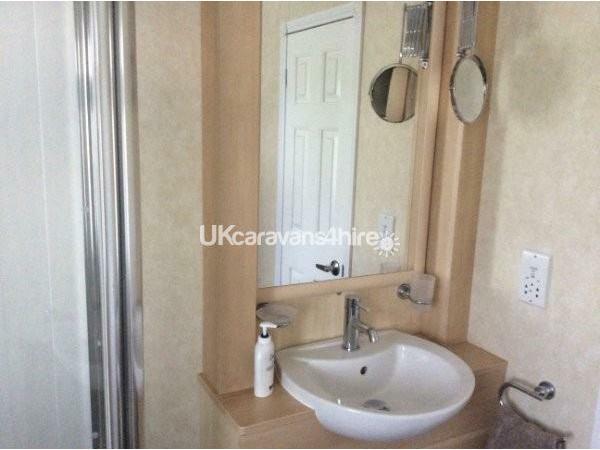 En-suite with Shower, toilet and wash basin and has a TV. 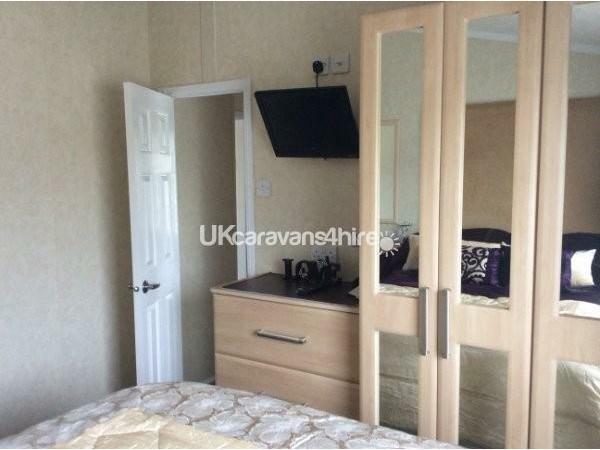 2nd Bedroom has full length double wardrobe with full sized single beds. 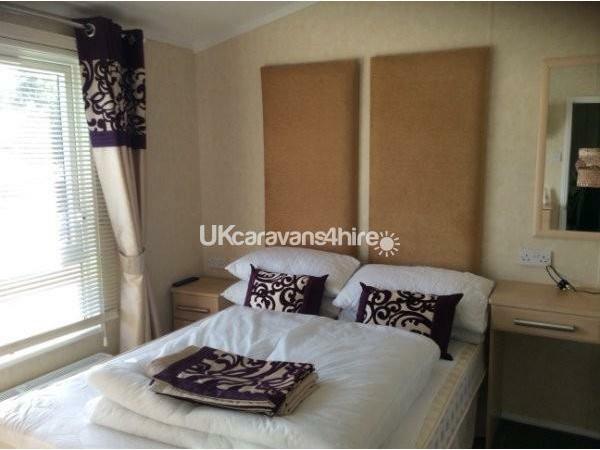 3rd Bedroom has full length single wardrobe with dressing table and stool, also has full sized single beds. 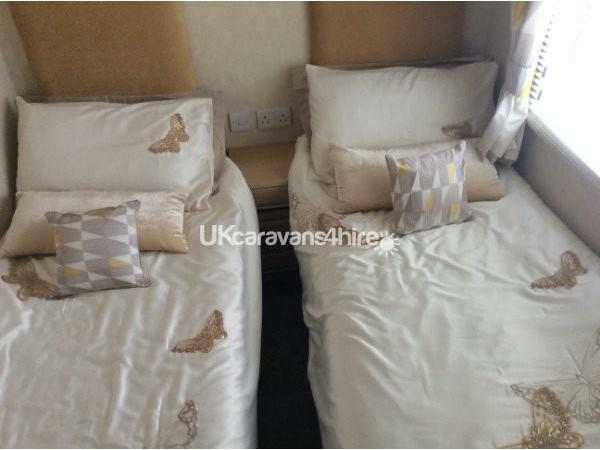 **Four single size beds suitable for adults to sleep on and have the extra comfort**. **Both twin rooms have TV**. Bathroom has a shower, toilet and hand basin. All bedding and beds will be made up upon arrival. (No need to bring duvets or linen). Tea Towels and hand towels. Basics like soap, washing up liquid etc. A £200 non returnable deposit will secure any break and this will be taken off final payment. An additional £100 refundable damage deposit will be added to the final payment but is returned within 10 days of you vacating caravan as long as no damages have occurred. Final payment has to be made 6 weeks prior to the start of the holiday. **Please note this holiday home is strictly NO Smoking and NO Pets**. We don't include passes in our prices as some guests don't require them and simply want to enjoy this beautiful part of Norfolk and explore all that the local area has to offer and come back and relax in top of the range accommodation. CAPPED PRICE FOR 6 GUESTS, 3 BEDROOM 7 NIGHTS = £148.00. 2-4NIGHTS = £126. will be spoilt for choice on what to do. 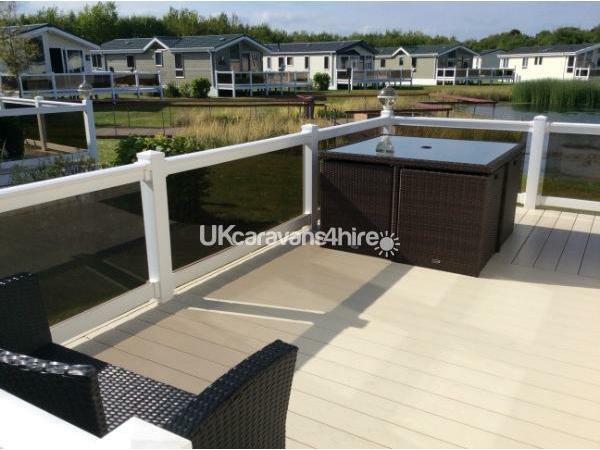 Hopton Holiday Village has three access to the beach two of them being steps and one is a long slope which you can gain access to a lovely beach area. Also Great Yarmouth is only a few miles away you will also find Pleasure Blench, Pier, Theatre and fun fair. Places to visit if you like theme parks you can go to Pleasurewood Hills which is in Lowersoft which also is a few miles away. Other local attractions are Thrigby Hall Wildlife Gardens, Great Yarmouth Racecourse, Sea Life Centre, Seal spotting, Petitts Animal Adventure Park, Africa Alive African Animal Adventure, Scroby Sands Wind Farm and Norfolk Broads. You can obtain leaflets on all the local attractions from Hoptons reception. I will be happy to tell you how you may be able to get £1,000 off.